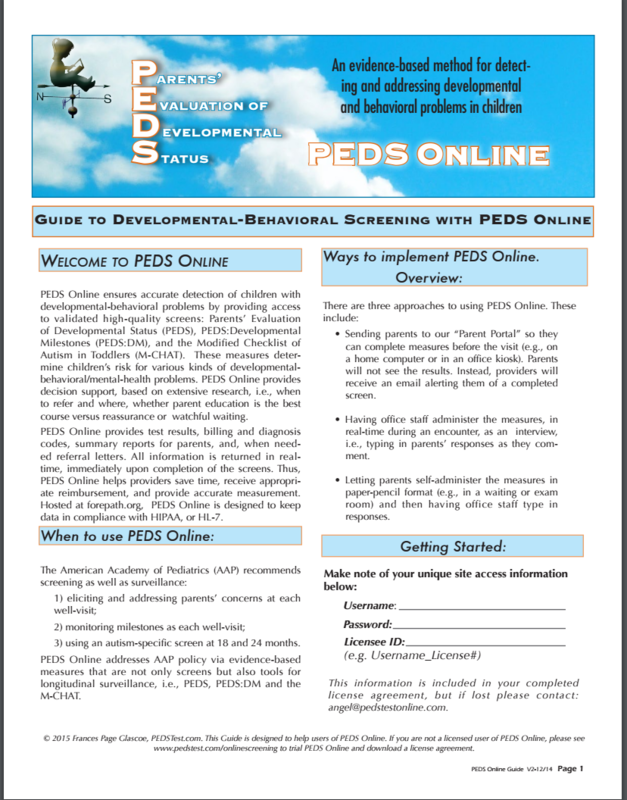 PEDS Online Brief Guide is available in .pdf format and can be viewed online at any time, including during the the administration of the test. It can also be downloaded and printed or saved to your computer. To view or download the PEDS-DMAL Brief Guide, click here.